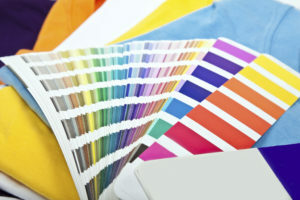 If you are ready to invest in some new banners and post signs or looking to update your brand, you might know the important role color plays in delivering your message. The right signage in front of your storefront can do a lot to boost business. If you are ready to invest in some new banners and post signs or looking to update your brand, you might know the important role color plays in delivering your message. The standard color wheel is divided between cool and warm colors. Cool colors include shades of blue and green, and they create a calming effect. If you have a business like a spa or therapy center then cool colors would signal a customer that this is a place to let go of their stress. Blue also can be associated with royalty and luxury in darker hues, whereas green always gives off an environmentally-friendly nature mood. Red, yellow and orange are all warm colors and have the opposite effect of cool colors. They are high-energy and exciting. And red in particular has been scientifically shown to stimulate a person’s appetite. Red is a popular choice for many different businesses, from retail to auto shops. But be aware that too much red can be aggressive. Yellow and orange are both friendly and inviting options for restaurants. Your signage will probably need a neutral color like black or white to balance everything out. Although black is often associated with darkness and white with light, there are some practical things to consider. Keep in mind that if your sign will be mostly outdoors, like a large banner then white will reveal more dirt and need to be cleaned more often. Gray can be a happy medium, but too much will make your storefront look dreary. When it comes to choosing colors for your company’s signage, you also need to take shades into account. Red can range from soft pink to loud and bright fire engine red to a rich and luxurious dark red. And, light or dark, green is almost always associated with nature until you make it fluorescent neon. So if you are having trouble getting your design to look the way you want, then try adjusting the shades of the colors you chose before changing them entirely. Contact Brand It Wrap It For Your Business Signage Today! If you are looking for a cool custom way to advertise your business, make sure to check out Brand It, Wrap It, Custom Signs and Vehicle Graphics. We are a full-service sign and wrap company that provides excellent quality signage for businesses both big and small throughout the Maryland, Virginia, and Washington, D.C. metro area. We provide awesome customer service, use the best and latest sign printing technology, and pride ourselves on our attention to detail. To see how we can help your business shine, give us a call at 301-838-9727 or visit us online for an estimate. For more tips and articles like this, follow us on Facebook, Twitter, Pinterest, and Instagram. This entry was posted on Monday, April 1st, 2019 at 10:20 am. Both comments and pings are currently closed.